Its a poor photo but it caught me by suprise! I was expecting to get out and about today as I had a day off all to myself. One poorly wife later and my day out ending up as being just one and a half hours down at Marsh Mills taking photographs. Still over 300 were taken to add to the 700 I still have sitting on my hard drive waiting to be processed! 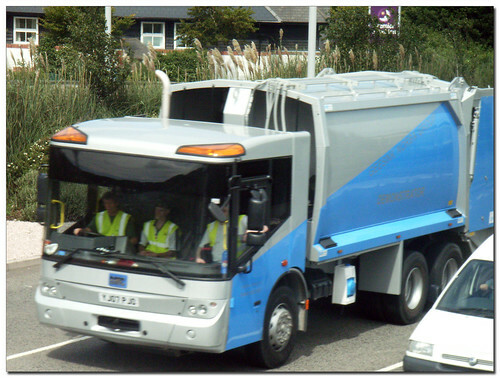 One big suprise was a new batch of dustcarts operating for plymouth City Council which I have not noted before. The biggest suprise being the BMC demonstrator. Quite a smart looking machine.